Aplia Econ Blog: News for Economics Students: Who Pays for Online Discounts? The other day I woke up, looked in the mirror, and decided it was time for a haircut. Rather than picking up the phone and calling the salon where I’ve gone in the past, I checked my email, typed “haircut” into the search bar, and was rewarded with a half a dozen email offers from San Francisco salons selling haircut vouchers at 25%, 50% or even 75% off the regular price. All but one offer had since expired, but I was nonetheless amazed that businesses were offering such steep discounts with such regularity. Traditional coupons seem to have withstood the test of time as a profitable marketing scheme, but the success of any discounting strategy depends on how coupons are used by both new and existing customers. A primary reason firms offer coupons is to attract new customers, in hopes that after experiencing the quality of the product or service, those who were initially only willing to pay the coupon price will later return and pay the full price. Regardless of whether coupons are offered online or delivered in the mail, however, some will invariably be used by existing customers who would have otherwise paid the full price. Thus, although coupons may generate additional revenues from new customers, they also may reduce revenues from existing ones. While I have been drawn to many new hair salons by their coupon offerings, the widespread availability of these offers has made me far less likely to become a repeat customer. Even if I particularly like a cut at one salon, I’m generally willing to take my chances on the next deal to save 50%. Fortunately for firms, some customers willingly pay the full price to avoid the hassle coupons entail. This enables firms to separate consumers into two groups based on their willingness to pay, a technique known as price discrimination. 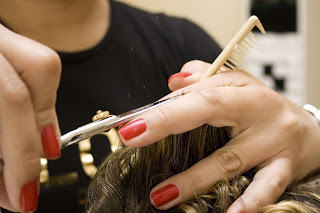 If a salon can use coupons to gain customers who are willing to pay less (but instead willing to expend the effort required to use a coupon), and still charge a higher price to customers who are willing to pay more (but won’t bother with coupons), then it can increase the volume of its sales without having to lower the price on all sales. Thus, while it may seem that firms should want their coupons to be as easy to use and widely accessible as possible, the lower the “cost” of acquiring and using coupons, the less ability the firm has to continue charging the full price to some customers. Admittedly, there are other factors to this new online market for coupons that may counteract the difficulties presented above; some people buy coupons but never cash in on the services, some of the “discounts” may actually reflect artificially inflated original prices, and not everyone is willing to take a chance on a new salon for each new haircut. In the long run, the market will likely determine whether or not this particular variation of discounting survives, but until then, I’ll continue to take advantage of half-off haircuts. 1. How might the analysis above be different for different types of goods and services? Is there a difference between offering deals on things people buy impulsively versus things that people buy regularly? 2. How does the fact that people actually have to purchase many of these deals in advance of using them (as opposed to simply clipping a coupon that you may or may not end up using) affect the market? How might this benefit or hurt the firms offering deals? 3. How strong is the psychological component of coupons? That is, how might consumers respond differently to a regularly priced car wash for $30 versus a coupon offering a $60 car wash at 50% off? What does economics have to say about these different price schemes and how they should affect the market outcome? 4. Suppose there are only two hair salons, how could you use game theory to model their payoffs when they each must decide to offer a coupon or not?